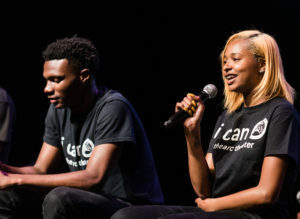 iCAN Alumni, are youth whom do not participate in the year-round program and serve as contractors and instructors for the iCAN Program, THEARC Theater, and Black Box. 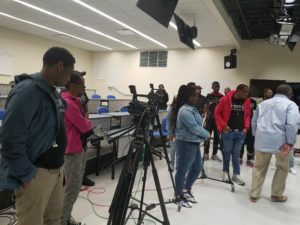 There support is instrumental in the progression of our mission to provide access to production arts careers to African American youth residing east of the Anacostia River. Many of the interns are matriculating in colleges and universities. Akira Belton Edwards Lighting Design, Temple University, Major-Technical Theatre/Lighting Design (with the team since 2012). Roman Bennett Lighting Design & Audio Engineering, Florida Memorial University, Major-Mass Communications/Audio Engineering (with the team since 2013). Davontae Conner Video/Film, Virginia State University, Major-Mass Communications/Film (with the team since 2013). Tairrah Contee Stage Management, Syracuse University, Major-Psychology (with the team since 2015). 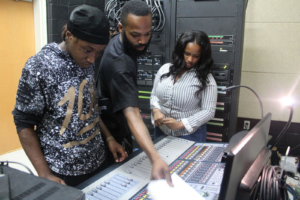 Aeon Johnson Lighting Design, Bowie State University, Major-Social Work (with the team since 2011). Majeris McKinney Lighting Design & Stage Management, North Carolina A & T , Major-Psychology (with the team since 2011). 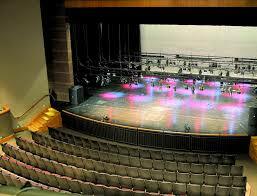 Imari Sydnor Lighting Design, University of Maryland Eastern Shore, Major-Graphic Design (with the team since 2008). 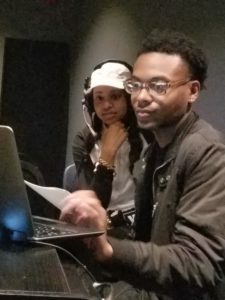 Giovanni Warren Audio Engineering & Stage Management, Temple University, Major-Technical Theatre and Performance (with the team since 2012).